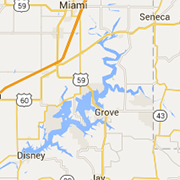 Experience the best of the Grand Lake area in these surrounding communities. You'll find shopping, lodging, attractions right at the city's doorstep. Keep up with the events around the Grand Lake Community! Enjoy the Random Observations from The Grand Lake Bum.